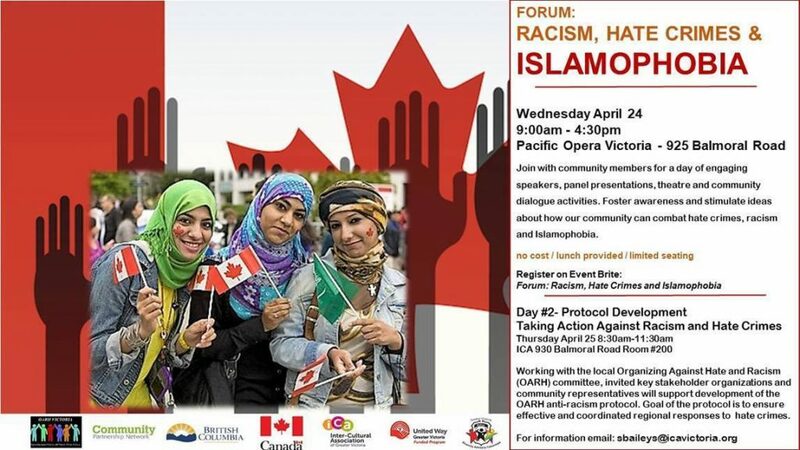 What can you do when you witness public instances of anti-Muslim, anti-Black, anti-Indigenous or any other form of interpersonal violence and racial harassment? This workshop provides tips on how to intervene while considering the safety of everyone involved. It includes resources and tools, group discussion and role play. Event space and washrooms are wheelchair accessible. A gender neutral washroom is available. Facilitators: Denise Nadeau and Maryann Abs, former members of the Vancouver Popular Education Collective. No charge for the workshops. Registration is not required but space is limited.